Three muscles comprise the hamstrings, and their primary work is to flex (bend) the knee and extend the hip joint. (Here is a nice clear hamstring visual from our friends at Yoganatomy.) Located at the back of the thigh, hamstrings are also involved in internal and external rotation of the leg. 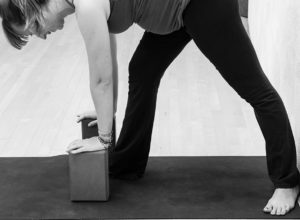 Flexibility in the hamstrings supports improved range of motion in the hips. Therefore tightness in this area will limit your range of motion in activities of daily living, and in many sports. The upper hamstrings are attached to the bottom of our pelvic bones, aptly referred to as our “sits” bones. Since short, inflexible hamstrings can also limit hip flexibility, through a chain reaction along the back of our bodies, tight hamstrings might also contribute to back pain. Hamstring restrictions are frequently the result of lots of sitting, mis-alignment, and overall lack of movement throughout one’s day. 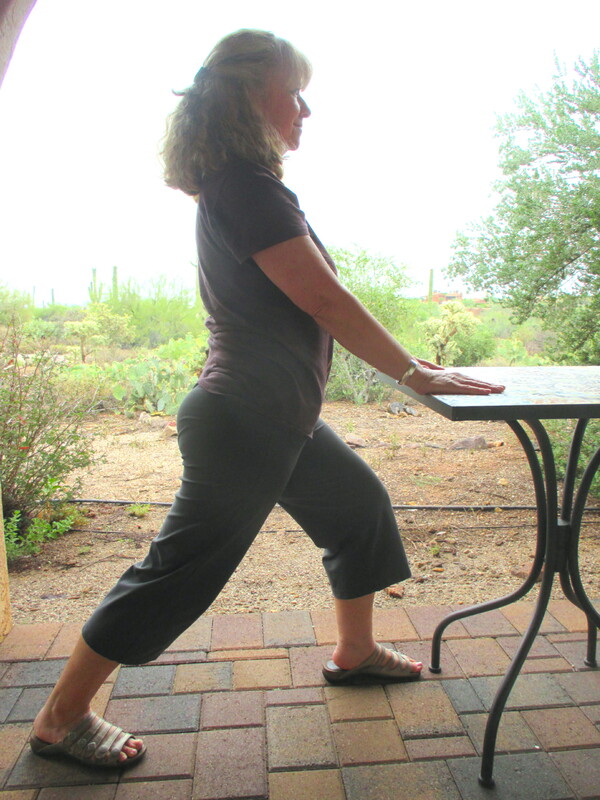 Your counter, desk, or kitchen table is the perfect assistant to build this stretch into your life. Notice the long spine, wrists supported, heals under hips. I often tell my students that a synonym for yoga is awareness of the body mind and breath. In the case of reclaiming flexibility, if you are aware you’ve been in one position for a long period of time, you can move, breathe, stretch and change position. Varying your movement (even if you are confined to a chair) is a great start, as depicted in my yoga day slide show. We spend an inordinate amount of our time in our chairs. As we eat meals, throughout our school days, driving or riding in cars, and most likely at work-our primary posture is seated. Yoga gives us a palette of physical movements to sprinkle practice in your life. 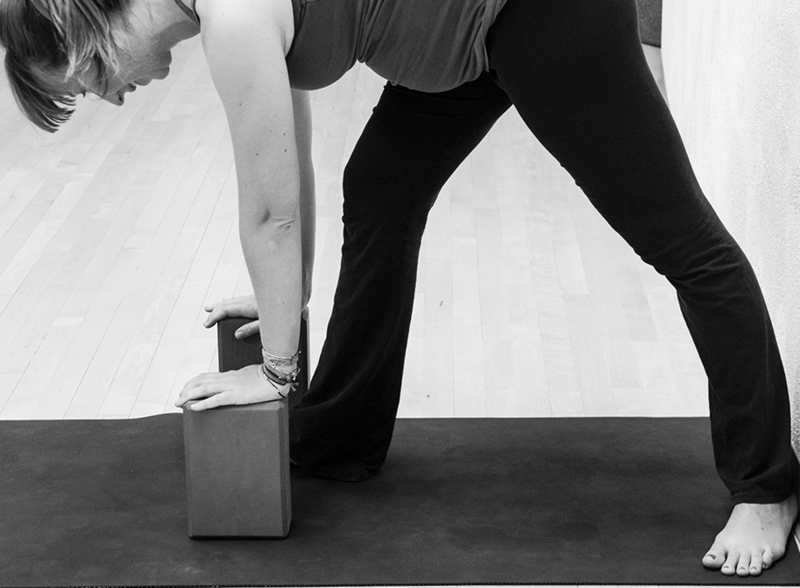 Many poses help to STRENGTHEN as well as PROVIDE FLEXIBILITY to our hamstrings. And Yoga reminds us to harness the power of our breath. This nutritious pose also strengthens the front quadriceps and hamstrings as well as opens the back leg line. Keep your legs hip distance apart. Breathe. If you are curious about the supporting research, this interview is quite informative. Steady practice of simple hamstring movements to increase flexibility and cultivate strength will reap multiple benefits. The yogis tell us that consistent practice is key to positive change. Do you have a wall to anchor your heel if you wish? Then half pyramid pose is available. Place your hands on your hips or even on a table if you don’t have blocks. Christy is pressing into her heels and also using the block as an assist. 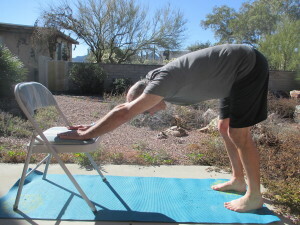 Toes facing forward, shoulders relaxed. Ahh. –Leg stretches are a tried and true method of opening the hamstrings as well as increasing strength and flexibility of the hips. Great flexibility stretch for all! 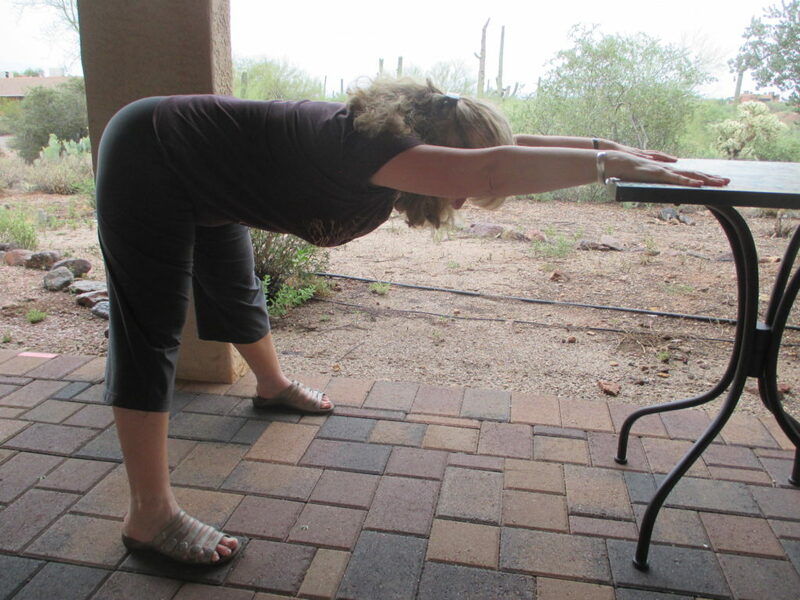 Downward dog brings relief to your hamstrings and also provides a wonderful release in the spine. This famous pose can be practiced with hands on the floor, chair, or on the wall. Many of your options are depicted here. This is the chair downdog option. Next step: come to class to experience the gifts of yoga. All welcome!